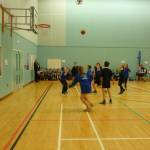 On Wednesday 28th January 7 teams met at Framingham Earl High School for the primary basketball competition, a close tournament was held with some very determined play from the teams. On Friday 30th January it was the South Norfolk SSP Secondary Swimming Gala at UEA, 6 of the 8 high schools in South Norfolk competed. There were some very tight races and quick times.